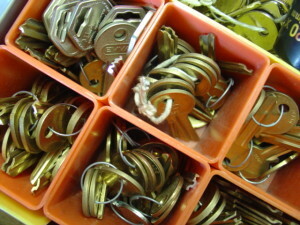 We have lots of keys, from door locks to detachable safe bits. Whether you’re locked out or locked in, we offer an emergency opening service for houses and business premises. Non Destructive Entry is our speciality. We have made unique tools to decode or defeat security locks. We carry out technical lock picking to extreme skill levels. 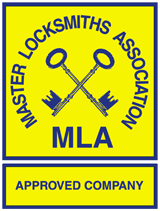 PVCu locks and Multilocks, mortice locks and safe locks. For safe openings please click here. Just call or text 07976272132 for a quotation or to find out more. PVCu, Aluminium or Wooden Door Locks. Vast range of safe locks in stock. Mechanical and electronic combination locks for safes . Discontinued or obsolete locks and garage door locks. Non-destructive lock picking and decoding. Cylinder lock impressioning, we can make keys to locked doors from outside! Experienced in picking high security locks from:- Multilock, Banham, Bilock, Ingersoll, Iseo, Butters, Chubb 3G110, AVA, ASSA, Wellington, Cisa, Mottura, Disc Locks, Securemme, Master, Mauer, Kromer, Cawi, La Gard, Lips, Milner, Stuv, Power Lock and many others. Commercial Aluminium, Steel and APG Doors. Servicing, Closers and Pivot Hinges. Common on shop fronts, heavy duty aluminium and APG doors need to be hung and adjusted properly to ensure public safety and ease of use under DDA regulations. Doors which do not close can allow cold draughts or become a security risk. Doors which slam can seriously hurt children or those of advancing years. Overhead, transom and floor mounted door closers working with a variety of hinge styles need to be replaced and adjusted correctly. Our skill and experience at Non-Destructive Entry (NDE) brings demand from the utilities and authorities to assist when they have a court warrant. We deal with gas and electricity companies direct, as well as through collection agencies. A network of subcontractors allows us to offer national coverage. We have opened safes on behalf of Derbyshire, Nottinghamshire, Leicestershire, Yorkshire, Metropolitan and City Of London Police Forces. HM Customs and Excise have also called upon us to open safes and containers. We have links with several companies to provide opening services for keyless electric shutters. Emergency Exit doors have to comply with all the relevant legislation or punitive fines can be charged. The security hardware chosen depends upon what the building or room is used for. Don’t risk lives, get expert advice.